When you haven’t been working out for a while and you are trying to get back into the swing of things, it can be difficult to be motivated to get to the gym. This can also be true if you are starting to work out for the first time. However, there are certain exercises that can be done at home that will help you get the body you want. Here are seven easy exercises that you can start at home. One of the most common at-home exercises is the push-up. While you may feel too weak to do a traditional push-up, there are variations to this exercise that will make it easier for you to get started on your fitness journey. If you are finding a regular push-up too hard to accomplish, try placing your knees on the ground. This will allow you to distribute your weight and have a much easier time lifting your body. If you are consistent with your push-ups every day, you will see a great improvement in your core, arm, shoulder, and chest strength. Remember to take it easy when you start to do your push-ups. Don’t overdo it. Start with five a day and work your way up from there. Abs are one of the most sought-after body features when it comes to fitness. Crunches are a great way to get those abs that you have always been wanting. One of the greatest misconceptions about crunches is that they are very difficult to do. This is not the case at all. Instead of doing a complete sit up that will potentially damage your lower back, only come up a third of the way. You will find that this works your abs and you can feel the burn. Just like with your push-ups, don’t overdo it. Start small and work your way up to bigger sets. A front plank is a great alternative to push-ups that will give you very similar results. To perform a front plank, simply rest on your forearms and your toes while as your body is straightened out. This will work many muscles in your body, focusing mainly on your core. If you have weak joints, this can be a great workout that will not make you as sore as push-ups or crunches. The longer you can stay in the plank position, the better results you will be able to achieve. When you are looking to have great leg strength, squats are one of the most important exercises you can do. To take it to a whole new level, squat jumps are going to not only work your legs but give you a cardio workout, too. You need to make sure that you have a high ceiling where you are doing your squat jumps. You don’t want to hit your head while you are trying to get a toned body. If you have ever watched a montage from a sports movie, you have probably seen the scene where the main character is jump roping. When you jump rope, you will be able to engage many muscles all over your body while getting an amazingly intensive cardio workout. You can get very into this workout and eventually do double jump and more. You will be very surprised by how a small investment in a jump rope can make a huge difference in your physical well being. Bicep curls are a very easy yet very satisfying exercise that can be done from your home. Investing in dumbells can be a great way to start but is not always necessary. You can find simple household items that would be great for bicep curls. A large bag of flower or a bucket of paint could be a great alternative to a traditional dumbbell. Make sure that you aren’t trying to lift more than you can handle when you start your dumbbell curls. Your biceps are easy to injury and it is simple to think that you can lift more than your body can handle. Take it easy and work up to bigger weight over time. If you have ever walked a long distance, you will notice the great feeling burn in your calves. If you are looking to recreate this burn, you can simply do calf raises at home. 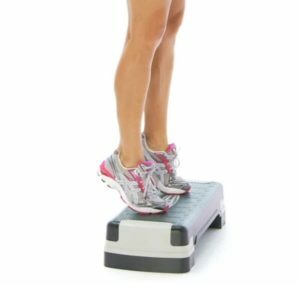 By standing on your toes and lifting your heels, you will be able to feel the satisfying burn in your calves that would otherwise take miles of running or walking to recreate. These are just a few of the many home workouts that can get you started on your path to fitness. With these easy exercises you can start at home, your workout goals will feel closer than they ever have before. Combine these with a healthy diet and you will be on your way to a fit and fun life!